A Cool Party on a Hot Summer Day - Happy Holidays at Saptaparni in Hyderabad. May 13, 2016 was a hot day in Hyderabad when we, at Saptaparni, had a cool 'Happy Holidays' party under the tree shade. Saptaparni is located at Road No.8, Banjara Hills in Hyderabad. 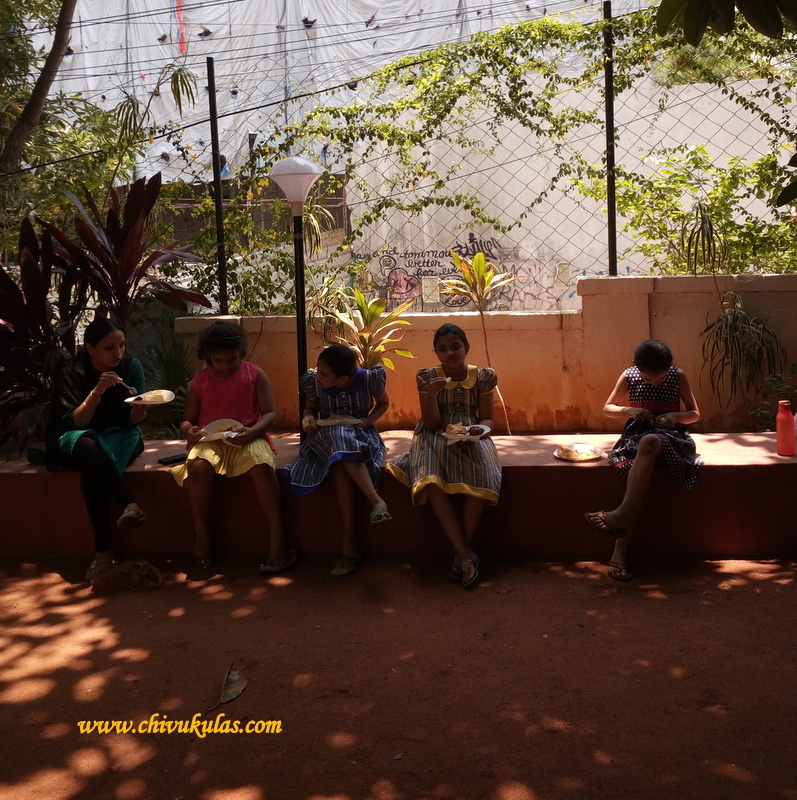 At this place, my daughter learns Carnatic classical music (vocal) along with many children of her age coming from different parts of the city. As it's vacation time and the music school remains closed for the rest of the month, the parents (some of whom too are learning music at this school) organized a cool 'Happy Holidays' party. Well, I can say that it's the children who enjoyed the most with all the 'halla gulla' and playing. Hmm! Yummy! That was a delicious chocolate cake Children were eagerly waiting for the cake cutting. 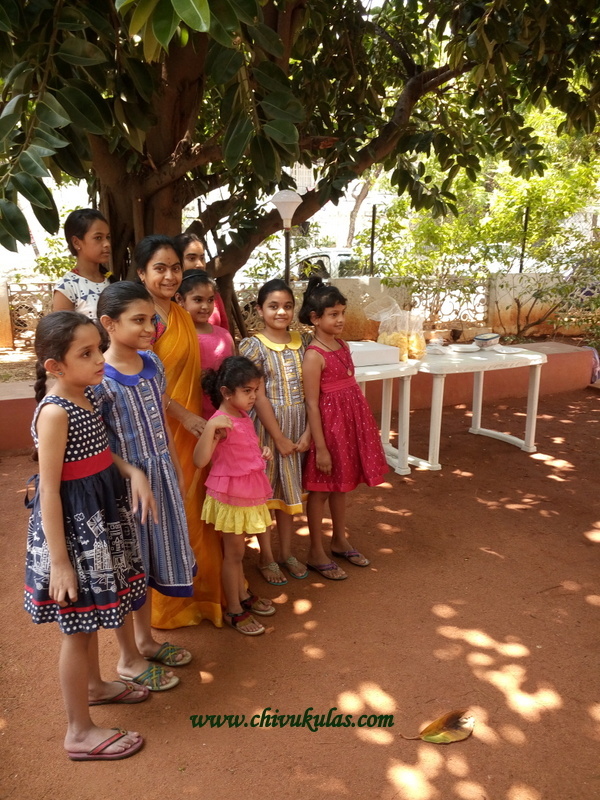 Children getting ready for the cake cutting and there you can see music teacher Bharati Ma'am in yellow sari. It is her friendly nature and stress-free way of teaching music to children which creates interest in music among the children. 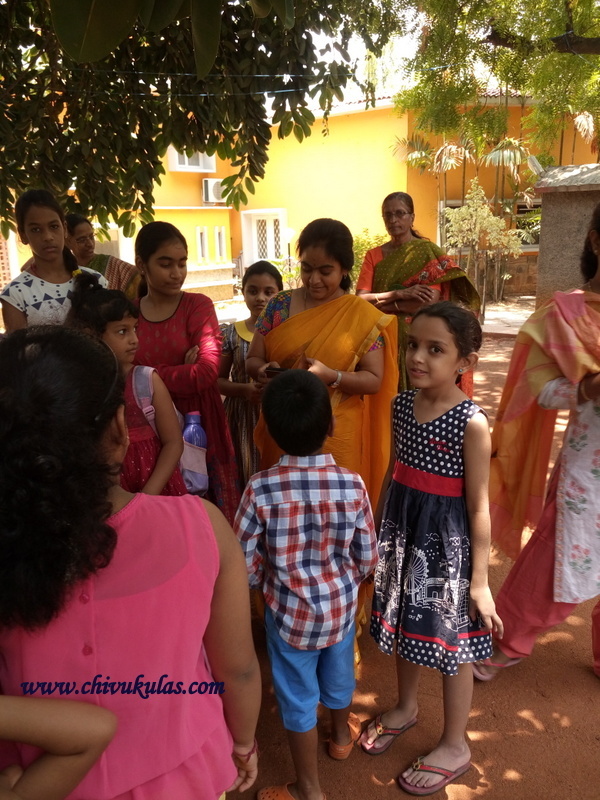 Children along with their music teacher posing for the clicks. And there you can see the tables with eatables under the shade of the tree. Though it was too hot and sultry at that time, yet it was cool under the shade of the trees with all the laughter and friendly atmosphere. 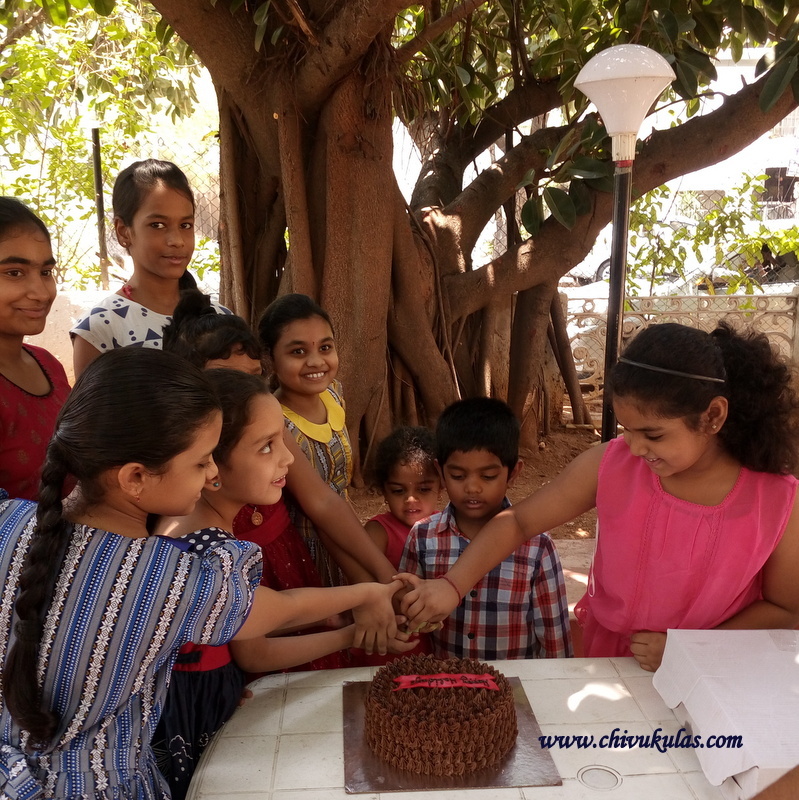 And there children too excited with smiling faces on cutting the cake while the parents were singing 'Happy Holidays' with claps. What next? Yeah! 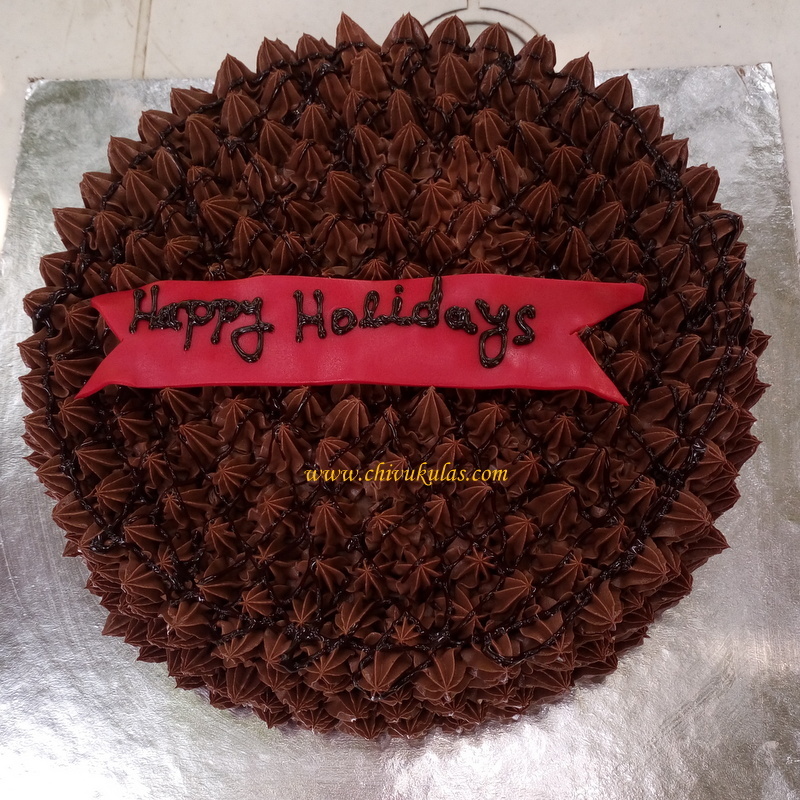 relish the yummy yummy chocolate cake. We also had potato crisps, veg puffs, candies and of course soft drink. Well, you must be wondering 'what's saptaparni'? It is an ideal place for children and adults alike to spend their leisure time in a creative way in a perfect Indian traditional way. Saptaparni offers music classes for children which include violin, tabla and vocal. It also hosts many traditional cultural events / activities like dance performance, exhibition of traditional board games of India, puppet show. Coming back to the party time, it was much enjoyed by the children who were not willing to get back to their homes but wanted to stay back in the company of their friends. On the whole, it was enjoyable though few of the students were missing in the party.